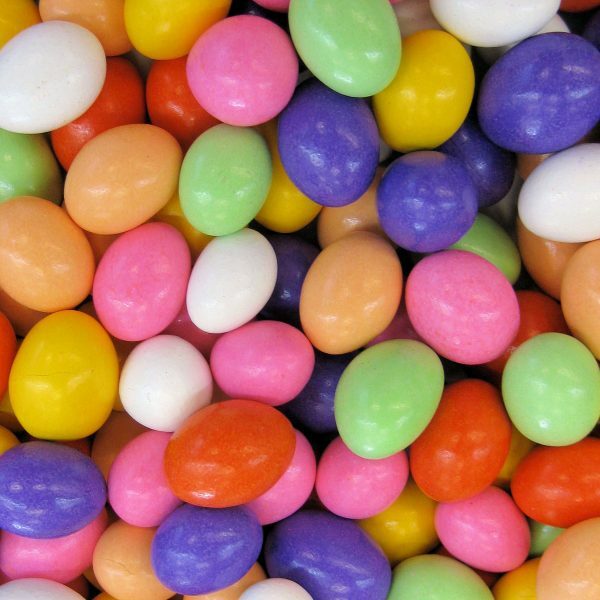 Home / Products / Seasonal / Easter Candies & Pops / Fruit Cordials, 1 lb. Your favorite fruit flavored liquid centers dipped in dark chocolate and a matching crunchy, pastel candy shell. Cane Sugar, Dark Chocolate [Sugar, Cocoa Mass, Cocoa Butter, Soy Lecithin (an emulsifier), Vanilla], US Certified Colors including: FD&C Blue 1, 2 Lake & 1 Lake, Red 3, 40 & 40 Lake, Yellow 5, 5 Lake & 6 Lake, Titanium Dioxide, Corn Starch, Confectionerss Glaze, Carnauba Wax, Bees Wax, Wheat Starch, Gum Arabic, Natural & Artificial Flavors, Corn Syrup.